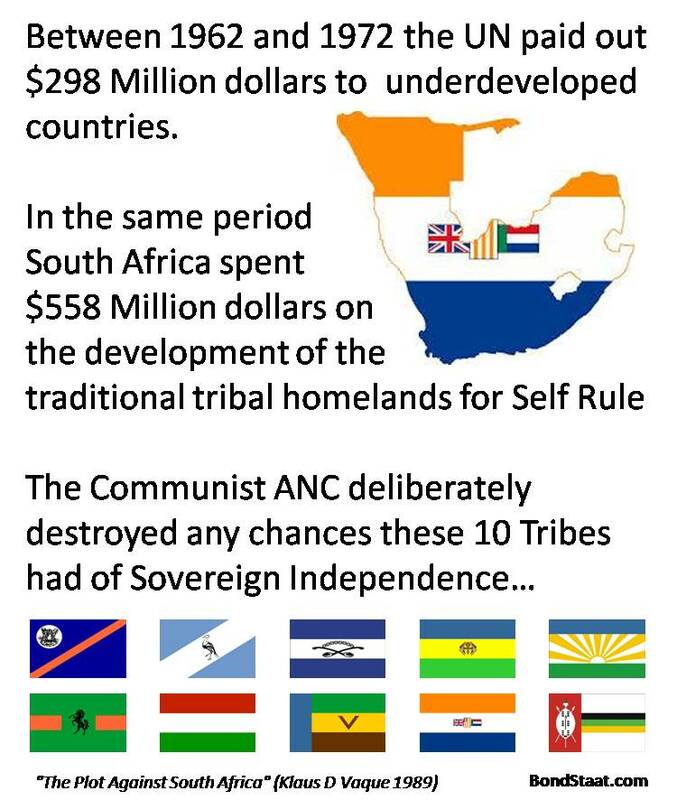 I came across this awesome little comparison of the SADF (that’s what the army was called in the days of white rule) and the army now which is called the SANDF. The comparison here, is a Ratel armoured personnel carrier in the old days versus one which the blacks have managed to roll. This being a sign of black incompetence. My favourite story of the SANDF incompetence though was an incident that I reported on during the time of AfricanCrisis (which will be making a comeback soon), where a black woman in the SANDF was one of several being trained to use Anti-Aircraft weapons. She decided to press the firing button and she KILLED a bunch of her comrades! I’m not sure if it was about 30. But it was a big bunch killed instantly using the white man’s fantastic technology! An own goal if ever there was one. There have been other incidents like this too. Not as bad, but also quite hilarious. I found too an image about the white homelands and the (wasted) monies spent by the whites on it. Why the bloody hell are we whites concerning ourselves with building up these other black pieces of garbage? We must abort those stupid ideas and focus totally on our own race. Anyway, I laughed at this meme. Here’s the shocker about black homelands. If the current black Govt gave us whites even 5% of what we gave the blacks, we’d have our own country and be laughing!